Misfit has teamed up with Speedo for a new version of its Shine fitness tracker, which as you might guess is specially designed for swimming. 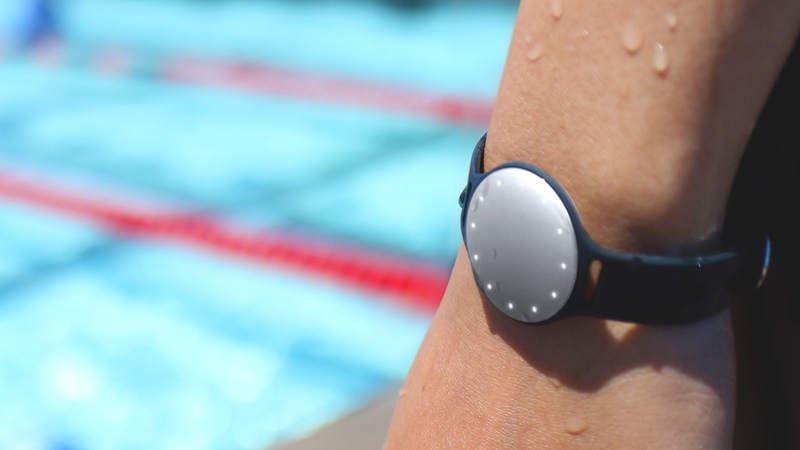 The partnership is half a rebranding effort aimed at swimmers as essentially the device is a standard Misfit Shine tracker, which was already excellent for swimmers. It's still waterproof to 50m, still capable of tracking exercise via a 3-axis accelerometer, and still lasts for six months without the need for recharging thanks to its watch battery. However, Speedo has helped Misfit boost the accuracy of its swim tracking by developing the product in its Aqualab in Nottingham, UK. The Speedo Shine features improved algorithms to track laps and lengths in the pool, as well as distance and calories burned. Of course, underneath the tracker is still a good old Misfit Shine, so you still get step and sleep monitoring, as well as basic tracking of running, cycling and other sports. While that's all done through the Misfit app, the swimming features are accessed via a new Speedo Fit app. It's a decent set of features for anyone who primarily gets fit in the pool and wants accurate feedback, but its data set does fall short of some of the dedicated swimming trackers than can detect the type of stroke and the efficiency of your technique, like Moov and the Garmin Swim watch. But what of people who already own a Misfit Shine and have been using it to track their swims? We're waiting on word from Misfit about whether existing devices will work with the new Speedo Fit app. The Speedo Shine comes in a brand new and previously unheard of colour developed by the company called "pure". A member of the pale silver family, it's rumoured the colour can only be attained by mixing unicorn hair with the blood of Michael Phelps. It also comes with two sports bands and a new Activity Clip, which secures the Shine in place so it doesn't come loose during vigorous activity. Shine is set to be $79.99 and will be available from 1 September. You'll be able to grab one from the Misfit web site, Speedo store and exclusively in Apple Stores.